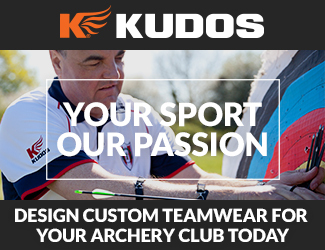 It’s been six long years since a men’s recurve team from Great Britain won a medal on the international stage, but Alex Wise, Tom Hall and Patrick Huston put that right when they combined to pick up a superb bronze medal at the second stage of the 2018 Hyundai Archery World Cup in Antalya, Turkey. Having vanquished Spain and France along the way, they beat 4th seeds Malaysia 6-2 to secure the first podium finish since Larry Godfrey, Simon Terry and Alan Wills managed it in 2012. Rookie Alex Wise, just 17 and ranked 57th, had caused a major upset in the individual recurve by knocking out reigning World Archery champion Im Dong Hyun, but said the bronze was the highlight of his career so far. This trio is still young yet already accumulating great experience, and you get the sense that the future is extremely bright for our recurve boys. Congratulations to them on a fine achievement. You can find all the results from Antalya here. Meanwhile, eight of our top para archers tested themselves against the continent’s best in the first stage of the Para Archery European Cup in Sardinia. Flying the flag for GB were Martin Saych, Jo Frith and Victoria Rumary in the W1, Nathan MacQueen, John Walker, Jodie Grinham in the compound and David Phillips and Tania Nadarajah in the recurve. In a fine result for GB, Jo Frith beat compatriot Victoria Rumary 133-127 to win gold, with Victoria taking the silver medal. Frith and Rumary combined with Jodie Grinham won the women’s team bronze, while Frith also won mixed team bronze alongside Martyn Saych to complete a successful week for British archers. Congratulations everyone!